When it comes to conversations of MoYou London plates the question I see everywhere is "which plates are good?" so today's post is a run down of my top five most used plates. Well technically it's five but I've given two honourable mentions for two new plates that I know will be extremely popular as well. 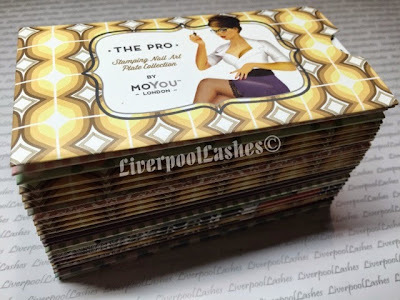 Just to point out firstly that MoYou London often remove the plate from their website if it's out of stock. I do find that a little irritating to be brutally honest as you search and search to realise it's not there rather than just being shown but "out of stock." Hopefully my suggestions you will be able to purchase though! 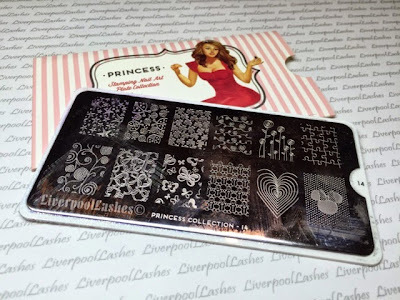 I've roughly put them in order of my absolute favourite first which is Princess Collection 14. Most plates have an image that is not as good as the rest but with this one, all of the images are something I would use. Personally my favourite is the image in the bottom left corner, I have used it many times with different colours and the fine detail always turns out stunning. I also really love the hearts that is next to the image, you can't really appreciate how pretty they are until you see it printed but they are outlines of hearts and then filled hearts also. 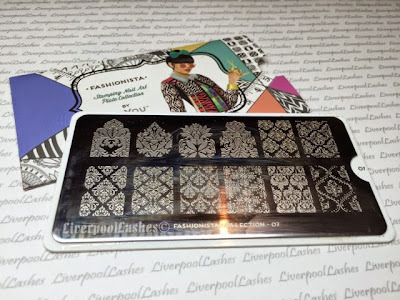 Next up is the fashionista collection plate 07. This plate is full of fine detail Damask print. In general I find that the Damask print is really classy and sophisticated so it's suitable for a lot of different clients. I often use this played with a lot of black, silver and gold. 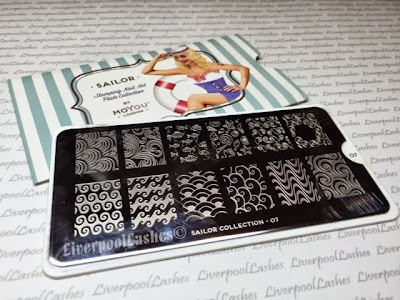 I adore the sailor collection plate 07 with the mix of different way of prints and other beach style designs. 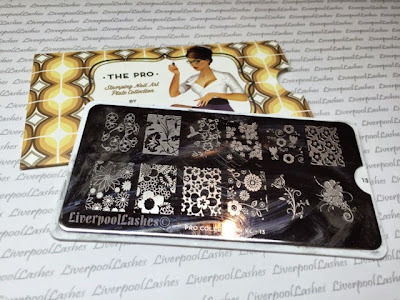 Pro Collection XL plate 13 is fantastic for the flower print designs. In particular the image with the hummingbird has been extremely popular. Finally the last plate I would like to recommend is from their festive collection. It's number 02 and it has various different snowflake images. I do find it extremely popular In the colder months. 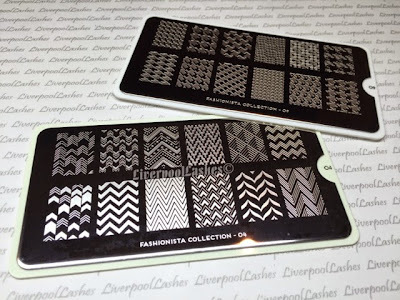 There are two more plates that I would like to mention which are Fashionista collection 04 and 09. I can't say that either of them have been extremely popular as the truth is I haven't had them that long however I do believe that both have prints that are very 'current' in terms of nail fashion. 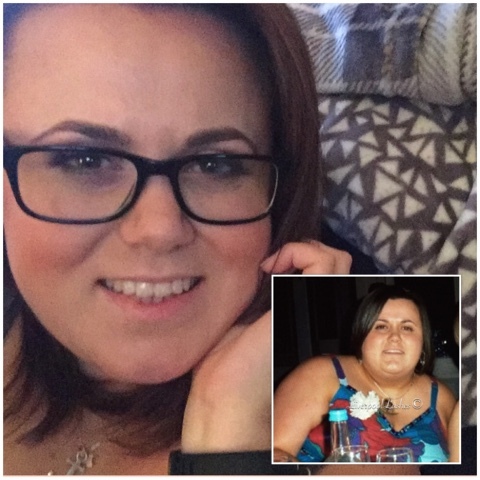 I hope I've given you some inspiration for your purchases! Please make sure you're following my Facebook page to keep up to date with my latest posts.